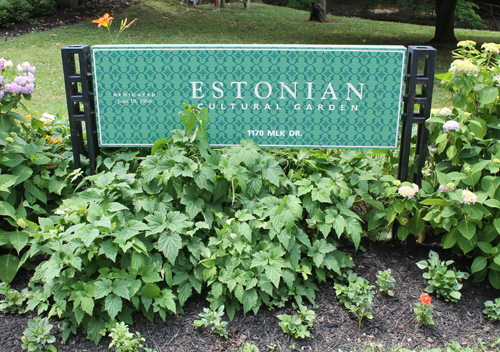 The Estonian Cultural Garden was dedicated June 19, 1966. 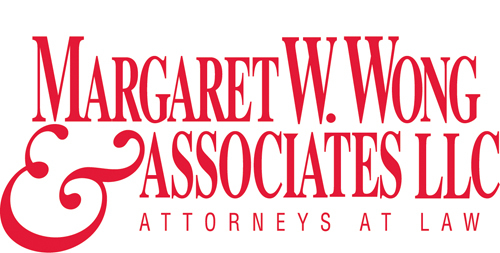 An anniversary celebration event was held on June 26, 2016. 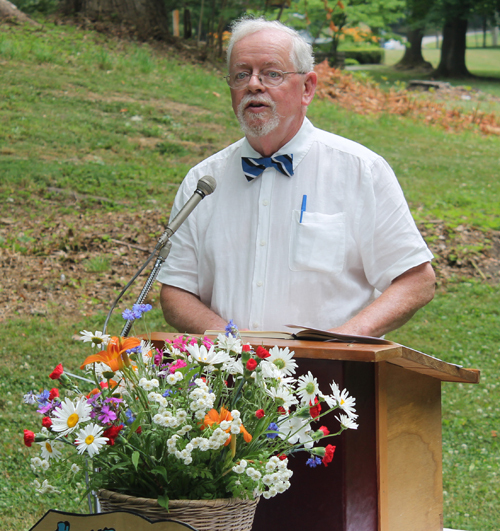 Toomas Tubalkain served as MC and welcomed the crowd to the 50th anniversary celebration of the Estonian Cultural Garden in Cleveland Ohio. It was also the annual celebration of Victory Day (Võidupüha) and St. John's Day (Jaanipäev). He recognized dignitaries in the crowd and read letters of support and congratulations. 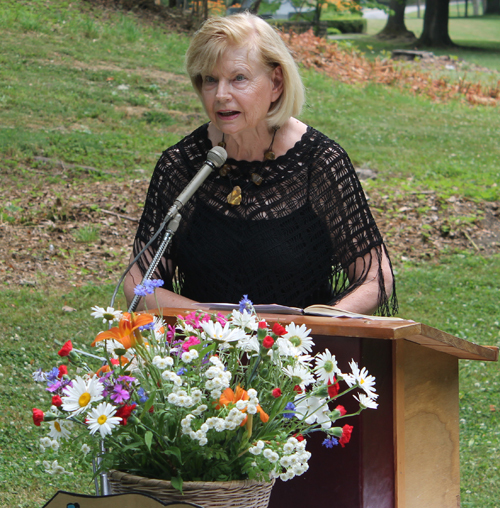 Honorary Consul of the Republic of Lithuania Ingrida Bublys spoke at the 50th anniversary celebration of the Estonian Cultural Garden in Cleveland Ohio. 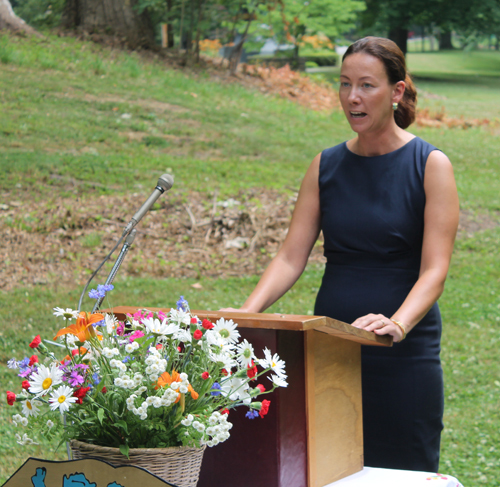 She congratulated the Estonian community for their beautiful Garden. Toomas Tubalkain gave some history of the struggle for Estonian independence and the use of a multinational force. Next, Toomas Tubalkain spoke about the Cleveland Cultural Gardens. 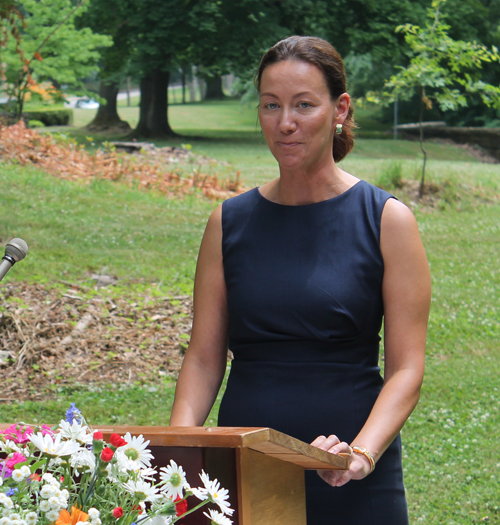 Toomas Tubalkain introduced The Honorable Mrs. Marki Tehhonova-Kreek, Deputy Chief of Mission of the Estonian Embassy, Washington DC as keynote speaker at the 50th anniversary celebration of the Estonian Cultural Garden in Cleveland Ohio. The first part of her speech was about Estonia's investment in international relations and security policy. She said not to become passive and assume everything we have achieved in the past 25 years is irreversible. History is not final. She spoke about NATO and reacting to the "new normal" after the escalation of Russian aggression in Ukraine. This part of the Deputy Chief's speech was about Crimea, Ukraine and the migration crisis. This part of Mrs. Marki Tehhonova-Kreek's speech was about how Estonia has emerged as a digital society with the highest number of tech startups in Europe. She said that they rely on and trust information technology more than any other nation. She said that 2 decades ago, one half of the population didn't even have a phone line. This last part of her speech was in Estonian. 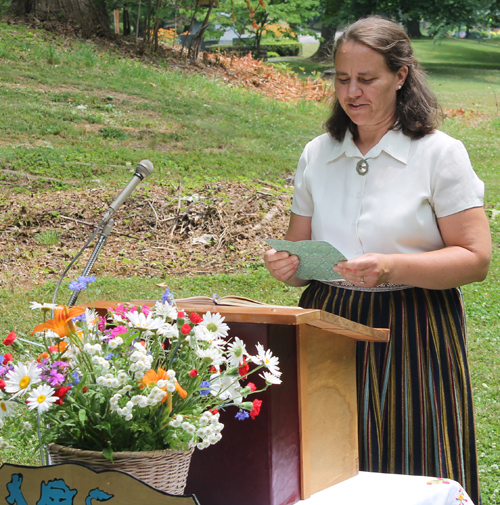 Next, Toomas Tubalkain introduced Trina Pirn who read a short prayer in Estonian and then in English. 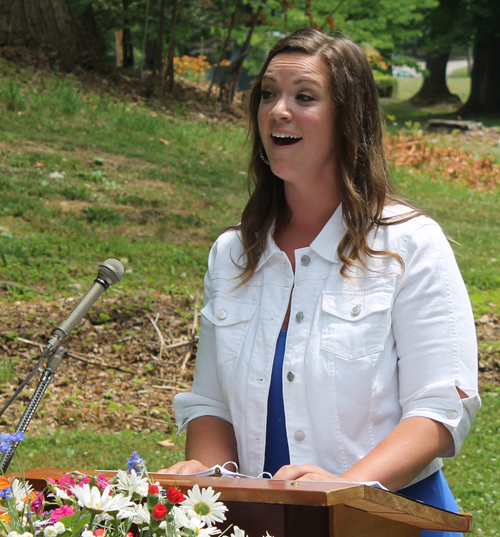 Kimberly Godfrey performed Once upon a dream from Sleeping Beauty, Somewhere over the Rainbow and Edelweiss at the 50th anniversary celebration. Toomas Tubalkain gave his closing remarks and then the young people led the procession to place flowers at the Estonian monument. 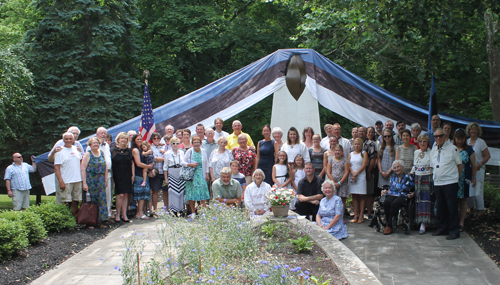 The US and Estonian national anthems were sung and a group photo was taken. Stay informed about the local Estonian community by signing up for the free Cleveland Estonian eNews mailings. You can select other groups as well. It's easy and free. Fill out the form for the free Estonian eNews.